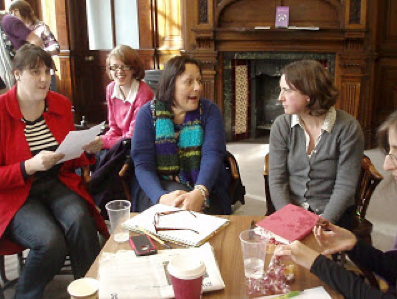 The North West Professional series 2013 events began on 16th March when Manchester City Library was full of the joys of spring. And why wouldn’t it be? Okay the sky was greying and the temperatures were dropping to Siberian levels. 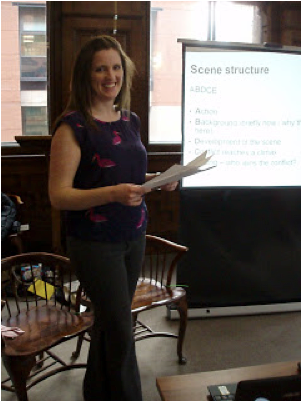 But the brilliant Lil Chase was preparing her presentation ‘Books that Sell and Sell Well’, and our publication hopes were rising like the daffodils outside. If you really want a professional who knows their commercial onions then you can’t go to anyone better than Lil. 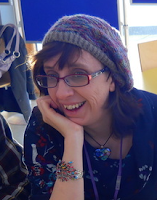 With A career that has taken her from Mills and Boon, through Cornerstones Literary Consultancy and finally to the massively successful book packager Working Partners as commissioning editor, she really can claim to know exactly what it is that makes a book sell. And Lil was not just there to give us the theory because she has applied all that she has learned to launch her own writing career. She is currently working on her third early teen novel. Her first two, ‘Boys for Beginners’ and ‘Secrets, Lies and Locker 62’ both currently have 5 star ratings on Amazon. There were technical issues on the day of course; the laptop and projector did not want to talk to each other. So while turns were taken to mediate between them, the rest of us compared notebooks. After all everyone knows a great story has to begin in a fabulous notebook doesn’t it? Or maybe not, because with all techno differences smoothed over Lil never gave them a mention in her talk, even though she admits to having a big collection herself. What Lil did treat us to was a presentation that was like, ‘How to Write for Children and Get Published’ BUT with a lot more laughs. She cleared our path through the maze of concept, positioning, structure, protagonists and hooks to name but a few, before taking us out the other side with the covering letter. It was a lot of fun. She taught us always to bait our hook with a really good but, while we dazzled her with our brilliantly inventive concepts. And who could ever forget the dilemma of Terry and Susan’s new bed sheets? The afternoon flew by and we were so absorbed most of us forgot to eat or drink. We all left with a really clear idea of what it is we are aiming for if we want to make our work commercially attractive. So if you listen carefully, that tap tappity tap you can hear coming from the North West is the sound of the next best sellers beginning to bloom. It’s just as well the next North West event is all about the agents, we’re going to need them. 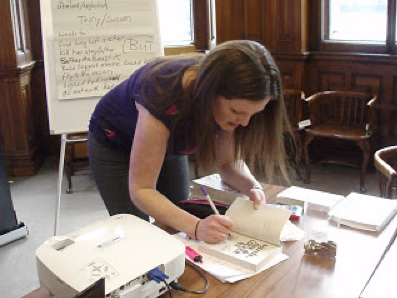 Speed Dating for Writers will be held on the 13th July at Manchester City Library. A panel of professionals including Zoe King and Elizabeth Bonsor from the Blair Partnership, agent Catherine Pellegrino and Philippa Donovan of Smart Quill Editorial will be delivering a range of talks. And there will also be the chance for a one to one for those who have pre-booked. Sounds like you all had a great day, George. Inspiration and laughter, you can't beat it. I REALLY want to know about the dilemma of Terry and Susan's new bedsheets. Great report! And I like the sound of this new genre ... snot fantasy. Thanks for the write-up. Sounds like a fab event.